Special book collections, special challenges. In the ongoing effort to bring books, manuscripts, and other text-based works into the digital age, the question of how to digitize rare and irreplaceable books has been one of the most vexing. For many research libraries with these kinds of collections, offsite digitization is simply not an option. The cost and potential hazards associated with handling, packing, and shipping materials for offsite scanning have been prohibitive, and librarians have been forced to search for other ways to get these materials digitized and online for scholarly access. Enter the Table Top Scribe. What is it? The Table Top Scribe is a portable, easy to use book digitization system available to library partners of the Internet Archive. Announced last year, the system began shipping in 2015 to library partners in North America, Europe and Asia. For digital librarians such as Leah Prescott from the Georgetown University Law Library in Washington DC, the Table Top Scribe system provides a welcome solution to the traditional conundrum of balancing preservation and access in digitizing collections, as well as providing a cost-effective solution for digitization when library staff can be assigned to scanning projects. The Table Top Scribe is a specially designed hardware and software system developed at the Internet Archive, and intended as a solution to handle partners’ non-destructive onsite scanning needs. 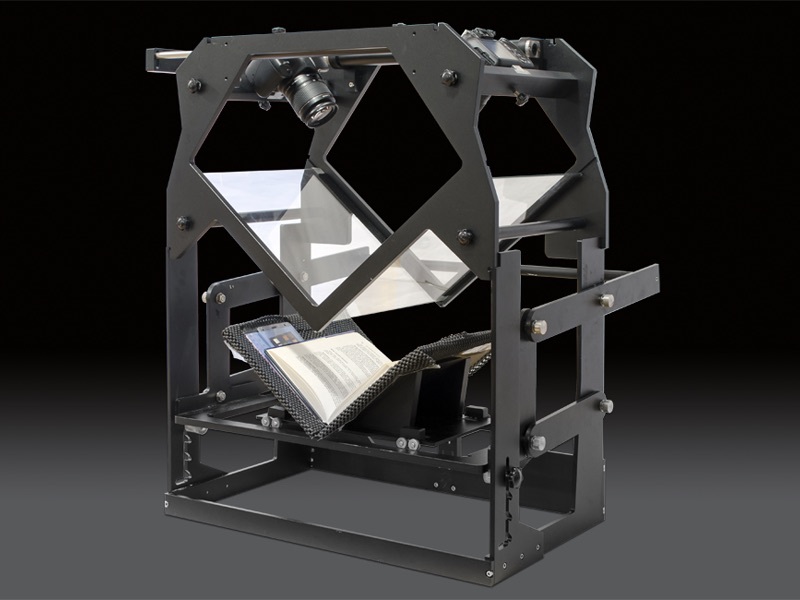 The system, relatively affordable at $9,999 for the base model, enables books to be positioned in a safe manner and with appropriate support on a v-cradle for scanning, and images to be captured via still photography for high quality color digitization. 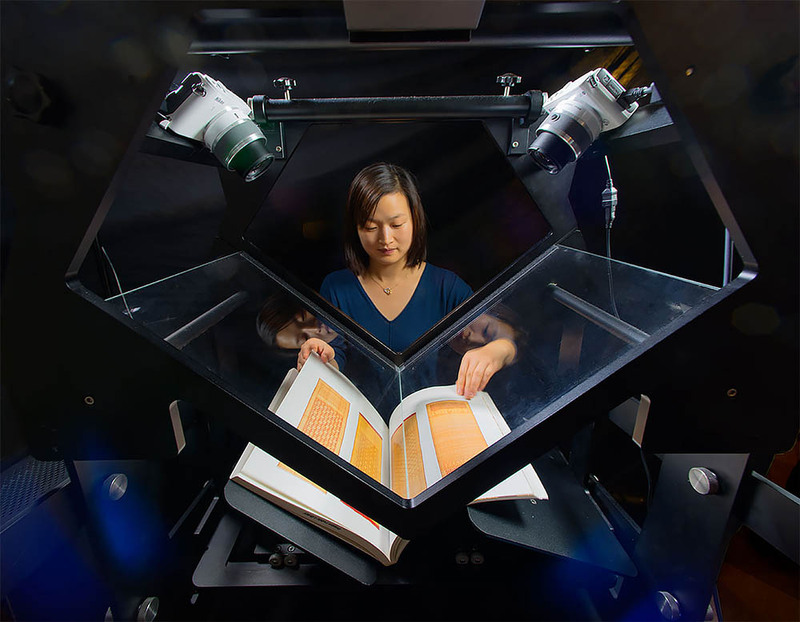 Impressive scanning rates — better than 500 pages per hour — are doable, depending on the materials being scanned. Optional image processing (the Gold Package, available for an additional cost of .04 per page) is also offered to Table Top Scribe partners and, says Prescott, this option made a big difference to Georgetown Law Library. Post-processing is key. 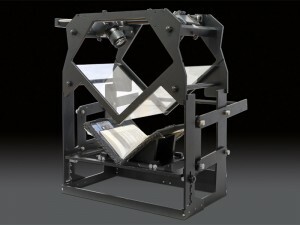 The post-processing services for the Table Top Scribe system, available with the Gold Package, includes image rotating, cropping, and 100% QA using the Internet Archive’s proven systems, as well as digital storage and hosting on www.archive.org and www.openlibrary.org. Library partners using the Table Top Scribe with the Gold Package option are able to easily upload their books into their own unique and curated online collections, and provide online access in a user-friendly book-reader interface, as well as in multiple downloadable file formats including JPEG2000, PDF/A, EPUB, KINDLE, ABBYY GZ, DAISY, and TORRENT. Content in libraries’ special collections, previously not widely or easily available to the world, can now be set free for future access by scholars and the general public. A special book collection comes online. Another library partner taking advantage of the Table Top Scribe system to provide such access is Washington University Libraries in St Louis. Leonard Augsburger, Project Coordinator in Scholarly Publishing at Washington University, explains that the Table Top Scribe is being used to bring rare and fragile numismatic materials online. 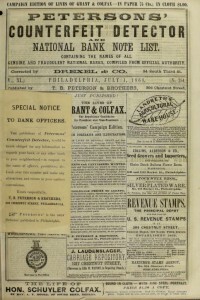 See the collection at https://archive.org/details/newmannumismatic. The extraordinary collection of books, periodicals and correspondence on numismatics housed at Washington University Libraries is currently being digitized using two Table Top Scribes. According to Augsburger, the power of being able to scan these materials in-house by library staff, and have them quickly show up on archive.org as beautiful, accessible images, really showcases the benefits of the Table Top Scribe system. “The University’s collections on the Internet Archive site enables numismatic scholars to use these materials right now, and get a sense of the wealth of information that will be available to them via the planned numismatic portal,” he explains. Part of a longer-range vision. The Table Top Scribe is offered to library partners such as Washington University Libraries as part of the Internet Archive’s overall mission: to provide universal access to all knowledge. The Internet Archive is committed to the long-range vision of building a collaborative digital collection in partnership with libraries worldwide, and to ensure that this collection remain open and accessible into the future, for the benefit of researchers and scholars, the blind and dyslexic, and the general public. The Table Top Scribe is an important part of this vision because it makes it easier for library partners to join this collaborative effort and get their collections online… quickly and easily. Interested in finding out more about the Table Top Scribe? 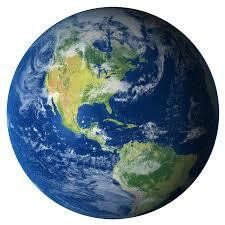 Contact Gemma Waterston Batson, Global Brand Manager, at gemma@archive.org.